Because of it’s power you might confuse the OF 2200 EB router as a portable shaper. 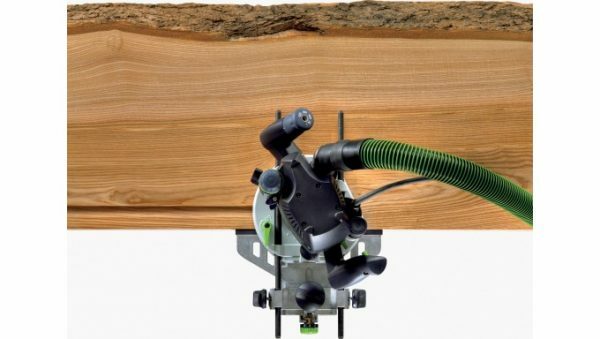 This router is easily capable of plunging into 8/4 hardwoods or making 1/2″ grooves in a single pass. 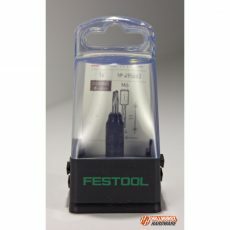 It is easy to control and great for the job-site or workshop. 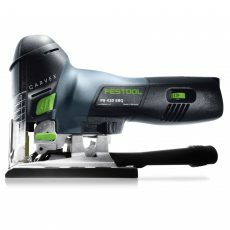 The OF 2200 is our most powerful router. 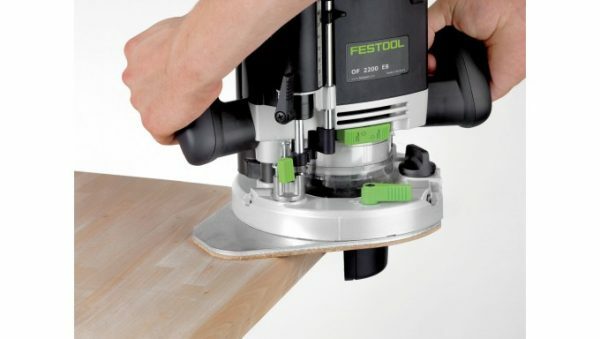 It can easily plunge into 8/4 hard maple and make a 1/2″ groove in a single pass. 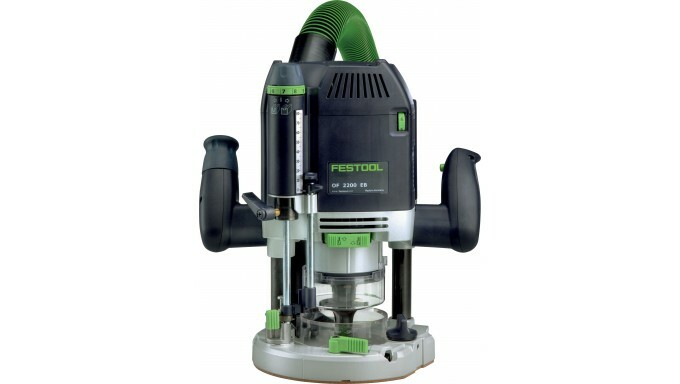 With 2200 watts of power, you might think you are working with a portable shaper. 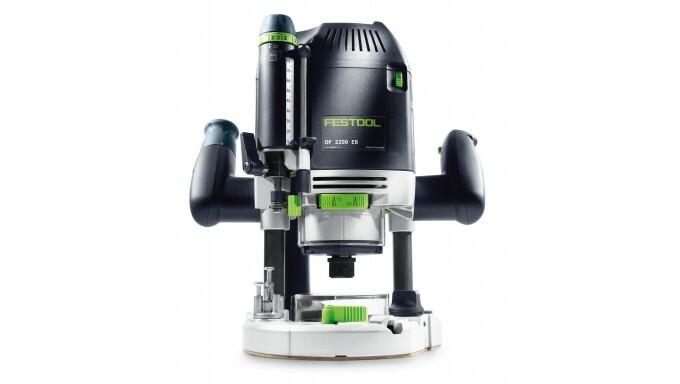 Designed for exceptional maneuverability, the OF 2200 incorporates many new ergonomic design features, making it easy to control, and a pleasure to use on the jobsite or in the shop. Includes 1/2″ collet only. 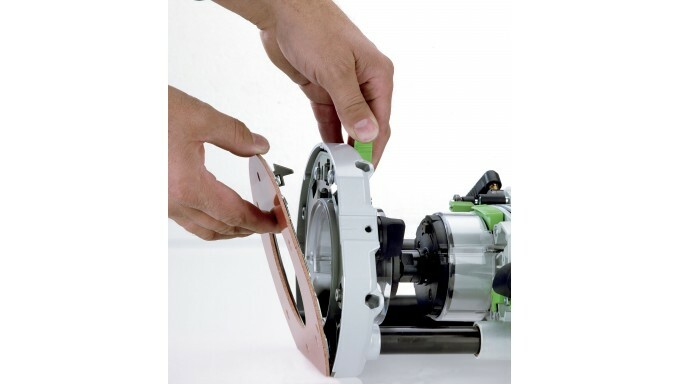 8mm and 1/4″ collets available separately. 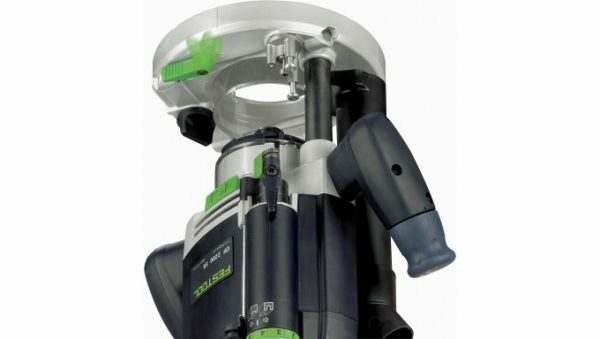 With 80mm of travel, the plunge depth of the OF 2200 is phenomenal. The collet actually plunges 10mm below the base of the router providing another option for bit changes. 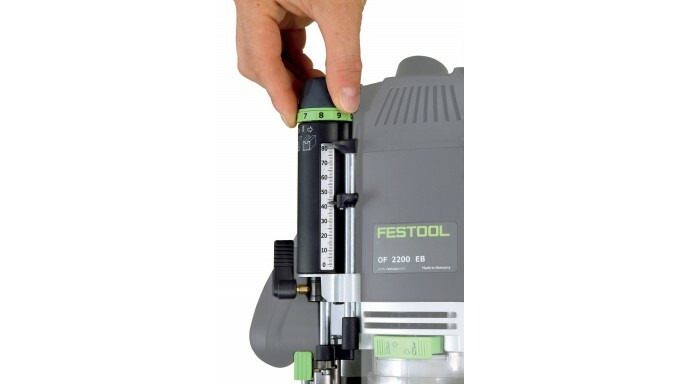 Use the micro-adjustment knob to fine tune plunge depth in increments of 1/256″ (1/10mm). 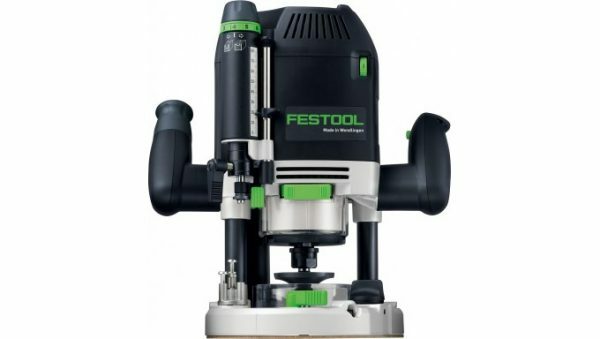 The four position depth stop turret provides pre-configurable plunge depths including a 5/64″ (2mm) finishing pass setting. The Locking Depth Stop Rod allows you save time by locking the OF 2200 in its plunged position and calibrate the plunge depth using the four-position depth stop turret in a single step. Dial the micro-adjustment knob in increments of 1/256″ (1/10mm) for the ultimate plunge depth precision. 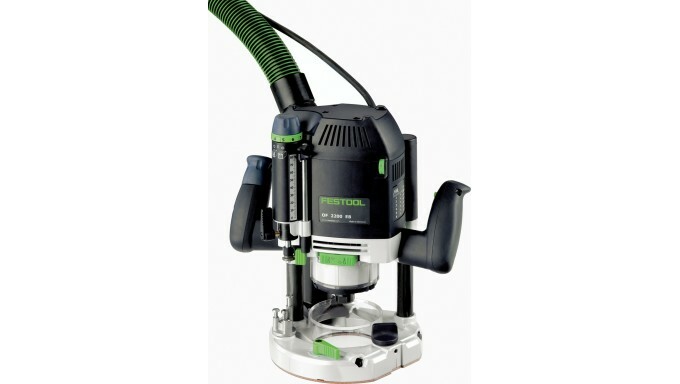 The 1/2″ collet of the OF 2200 allows you to take full advantage of its 2200 Watts of power. With an opening of 3-3/8″ on the standard base, the OF 2200 can take advantage of a full assortment of router bits. Work smarter knowing that the plunge depth of the OF 2200 is set securely. 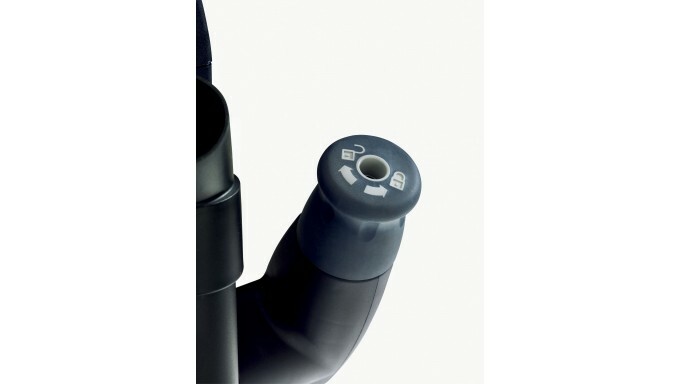 The locking mechanism actuates against both of the anodized plunge columns to prevent movement. 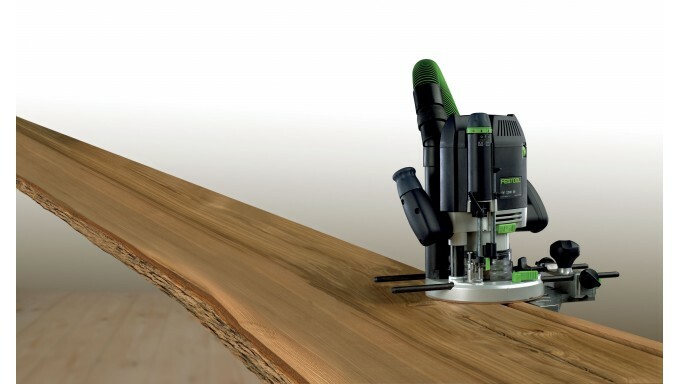 The plunge depth is locked with a single twist of the locking knob located at your fingertips on the router’s handle. 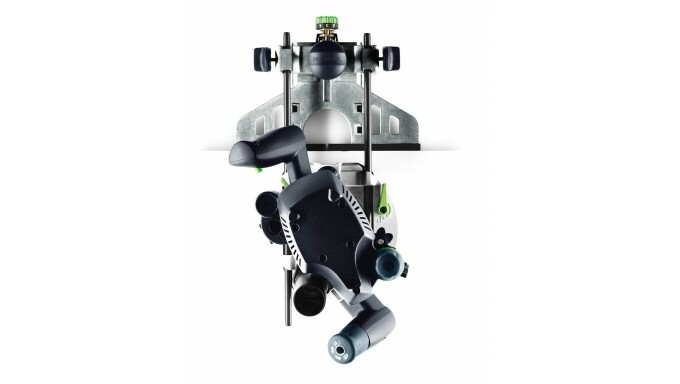 Control plunge depth with the ability to set pre-configurable depths using the four-position turret. 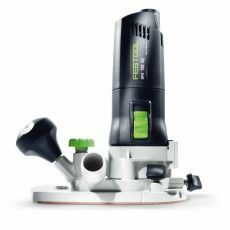 An integrated 5/64″ (2mm) offset position saves valuable time allowing you to easily make a finish pass after making an initial pass without having to reset the plunge depth. Sometimes it’s the little things… And the 30° offset of the handles of the OF 2200 Router are one of those little things. 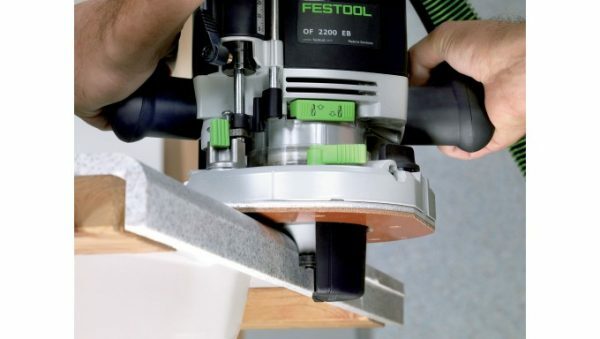 This offset means that you hold the handles at a position that is comfortable and natural. 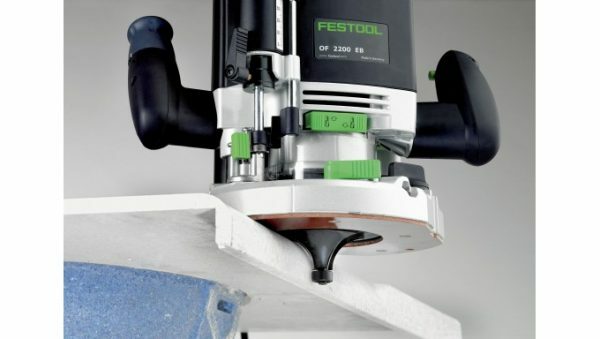 A side effect of this handle configuration is that by applying forward motion to the router you are also applying lateral force against the edge of the workpiece. 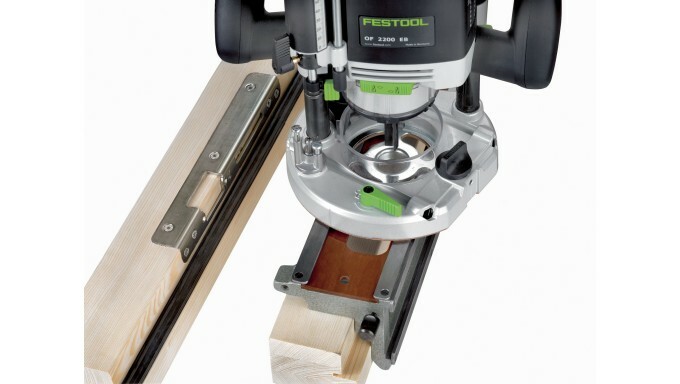 When using the Edge Guide, this force keeps the guide against the material due to this ingenious design. 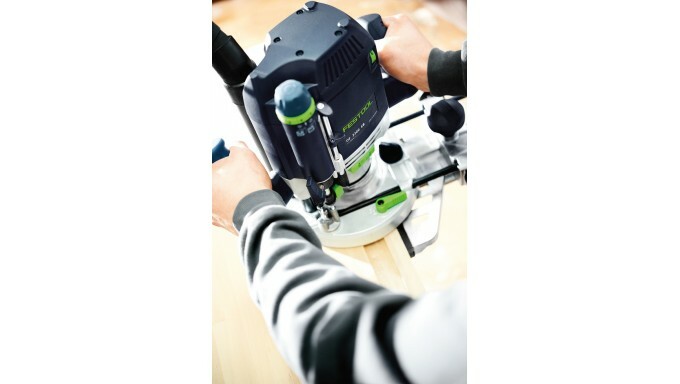 Harness 2200 Watts of power, possibly making the OF 2200 the most powerful router available! 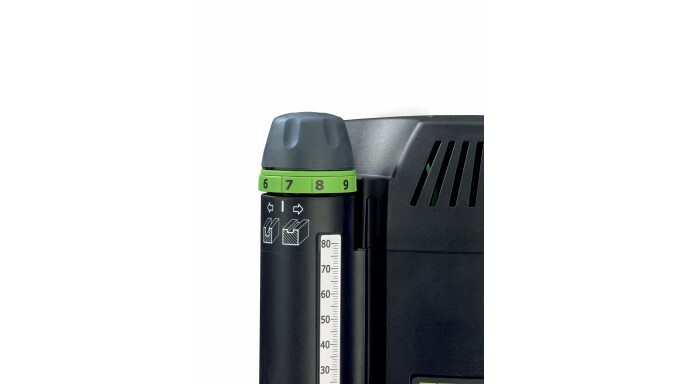 Tackle the most demanding applications with ease. 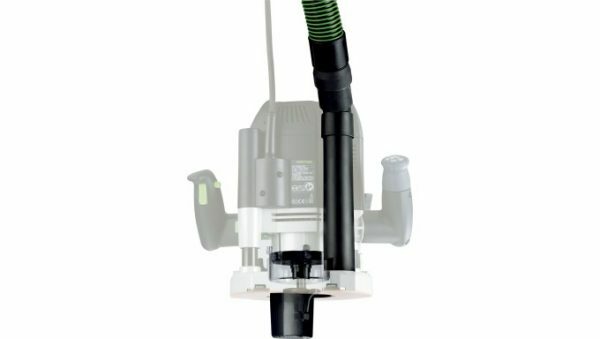 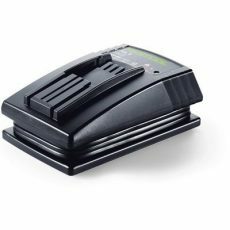 The motor of the OF 2200 feature Festool’s Multi-Material Control (MMC) electronics which protect and extend the life of the motor using thermal overload protection, soft-startup technology and constant spindle speed under load. 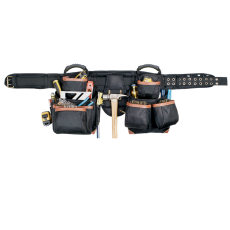 Work with confidence knowing that your investment is protected. Fine tune the plunge depth setting of the OF 2200 using the Micro-Adjustment Knob in increments of 1/256″ (1/10mm)! 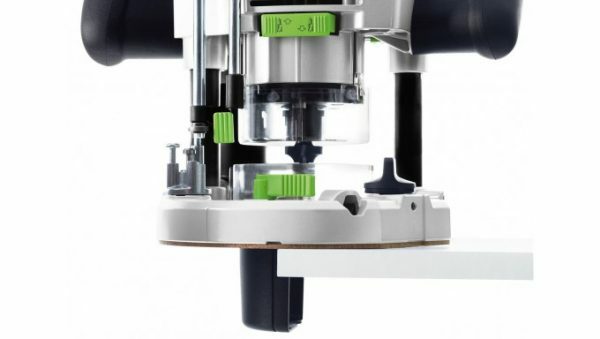 Each revolution of the knob which is clearly marked equals 1mm. Directional icons let you know at a glance how to increase or decrease plunge depth. The knob features detents to ensure absolute precision when you need it the most. 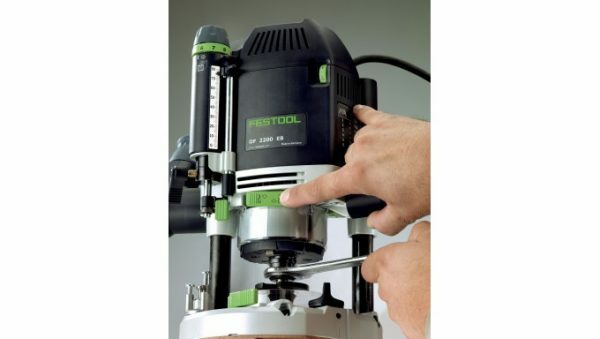 The standard base for the OF 2200 router has a 3-3/8″ opening facilitating room for the largest of router bits. 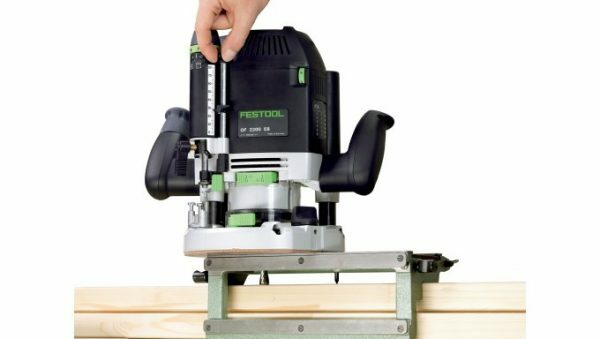 With a 1/2″ collet and 2200 watts of power driving the spindle, the OF 2200 is the most capable router available. 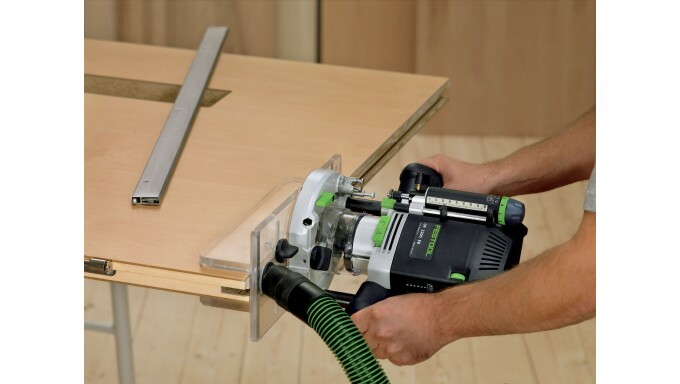 The OF 2000 Base Accessory Kit offers a variety of application specific bases to aid with dust extraction when using smaller router bits (sold separately). 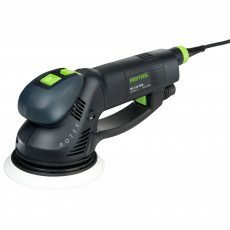 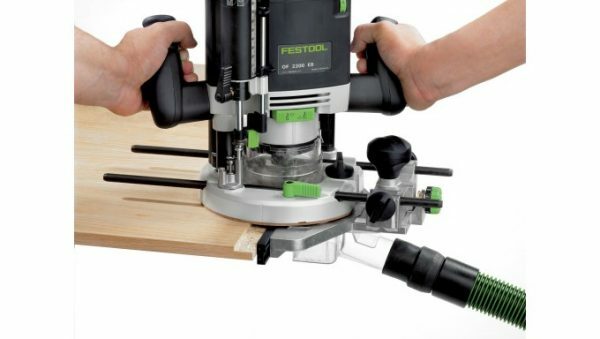 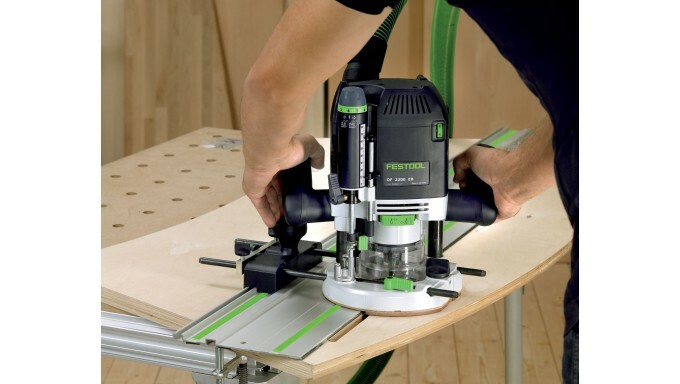 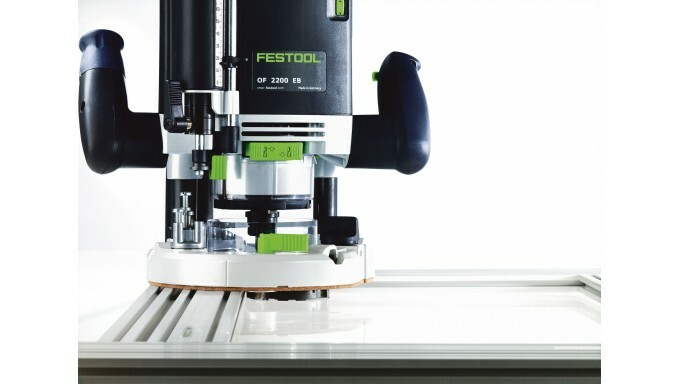 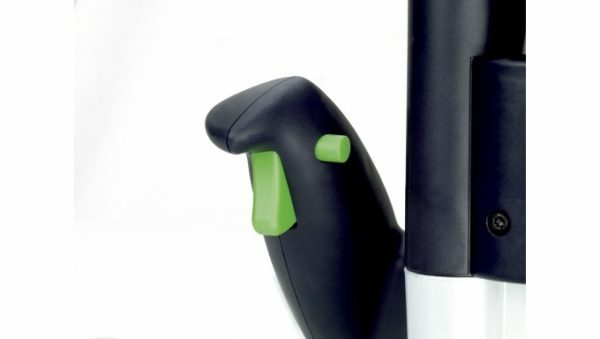 As with the complete line of Festool routers, the OF 2200 features Quad Center Lines. 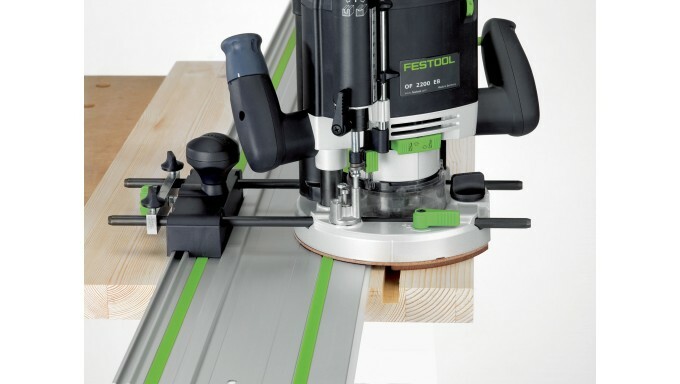 These center lines appear on each of the four “sides” of the router and provide an easy reference point for the location of the center of the router bit and router path. 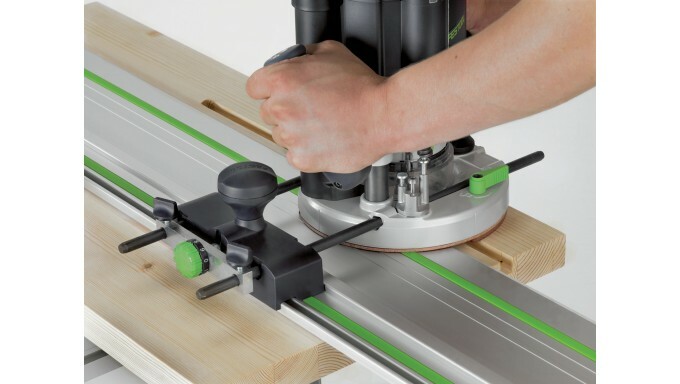 The Edge Guide System (494 680), sold separately, provides the quickest, most accurate way to perform edge routing. 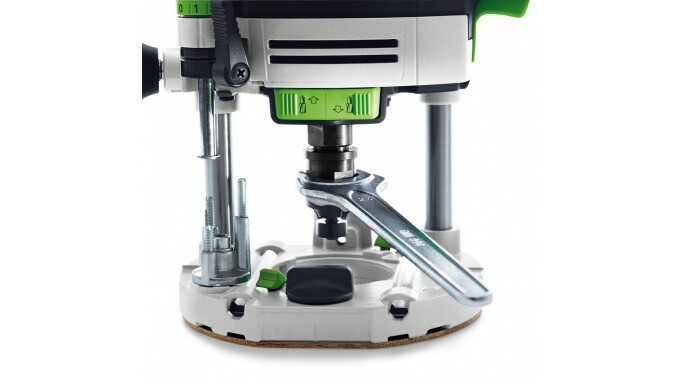 Featuring a fine micro-adjustment of 1/256″ (1/10mm), the Edge Guide offers unparalleled precision. 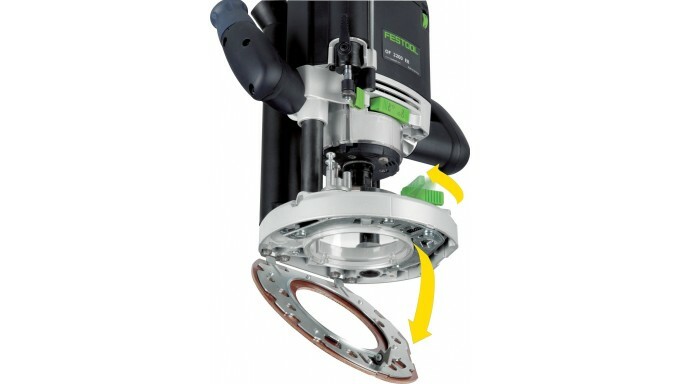 The Edge Guide attached to the OF 2200 using two rods and a single locking knob allowing fast attachment and removal. 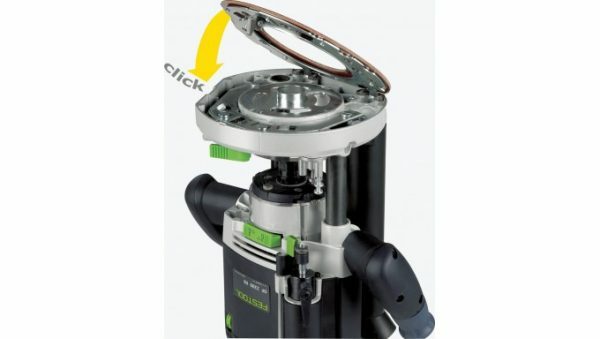 Includes a dust extraction for efficient chip removal below the workpiece. 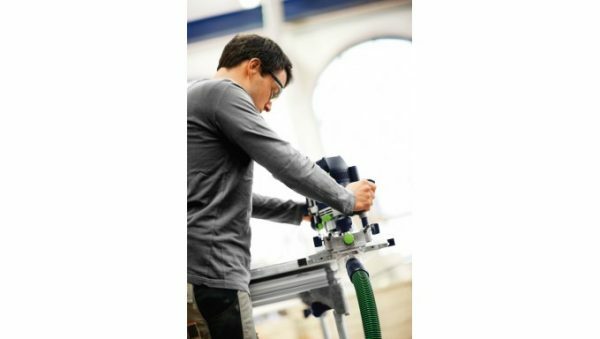 The Guide Rail Adapter included in the OF 2200 Base Accessory Kit (574 260), sold separately, enables attachment of the OF 2200 to the Festool Guide Rail System. 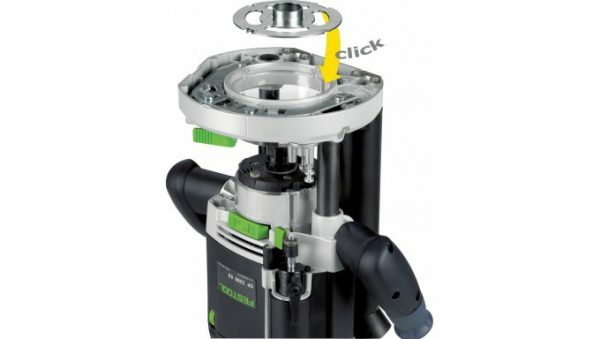 With a fine micro-adjustment knob, control the guide rail offset in increments of 1/256″ (1/10mm). 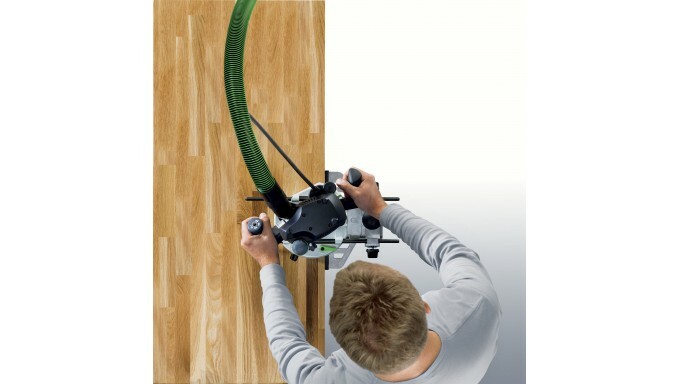 Attach and remove the Guide Rail Adapter with a twist of the single locking knob.